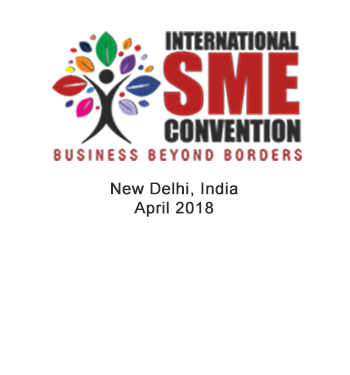 The World SME Forum aims to provide SMEs with effective representation, founded on well-established and fact-based research, to ensure that the economic interests of the global community of SME businesses are more effectively represented in the deliberations of international governance bodies. Partnering with IFIs and development agencies, and with membership from associations working in the SME space and chambers from all over the world, WSF will advance the recognition of the role of SMEs in the global economy, by aiming to be represented in international bodies such as G20, APEC, ASEAN, and other regional blocs; global standard setting entities; and relevant agencies of the United Nations that either directly or indirectly affect, or aim to affect SME performance and development. A glossary of definitions of SMEs in various national and global context - to facilitate effective targeting of policies and programs focused on the SMEs. An evaluation of the impact of the latest financial regulations/decisions by global standard setters such as BIS/FSB, etc. on the development and growth of SMEs. And a study on the most relevant constraints generated by cross border trade regulations on the SMEs’ export potential. While the importance of credit information is well understood and credit reporting systems are present in many countries, SME credit reporting remains nascent in many countries. WSF is initiating work to strengthen the knowledge base for SME credit reporting; in a second stage, together with other partners, WSF will contribute to technical assistance activities to strengthen SME credit reporting systems globally. Representing the SMEs’ interests through targeted advocacy in global policy debates, initiatives and fora that have the potential to shape digital trade and strategies going forward, such as UNCTAD's Aid for eTrade, the current B20 discussions on the creation of the World eTrade Platform, and the agenda of the World Trade Board. Hands-on engagement in country to country pilots, such as an ongoing China-Turkey pilot project to boost SMEs’ eTrade, which includes awareness campaigns, capacity building on SME digital strategies, and direct matchmaking through digital platforms and cross-border eCommerce experiment zones. Creation of an SME-targeted global online platform, eWSF, to boost opportunities for SMEs in the digital economy. e-WSF will be a one-stop-shop for SMEs to: (i) increase their access to finance; (ii) increase their access to skills, training, knowledge, innovation, expertise and information; and, (iii) increase SME matchmaking opportunities in their Global Value Chains (GVC).